Thank you for contacting us .. A detailed email has been sent to your email id. I want to join the course but send me detail of course in mumbai & fees & timing .the timing for employed & nonemployed.Many of my friends are also seeking for this type of course. Thank you for contacting us . A detail email will be sent to you . hi.. ! i am intrested in RE-SHIP course.Please send me detail information and course fee. I would like to enroll myself for rechip course. Could you kindly provide me the course duration if taken on fast track or full time basis and also the fee details. 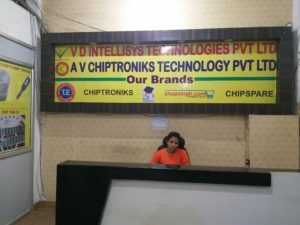 Do you have any institute in Mumbai and Hyderabad apart from Delhi. If yes, kindly provide the address for them as well. 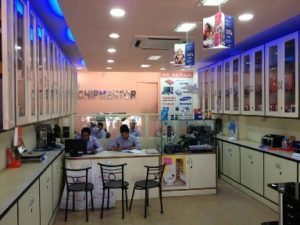 I am Intrested in doing a re-chip level repairing course. Pls send me more details of the course with fees etc. Looks quite interesting.. I want to know more details like fee timing etc… please reply.. 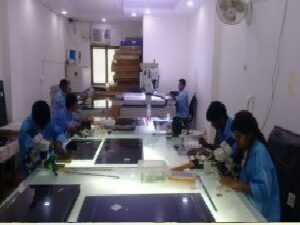 I would like to join re-chip course, covering all syllabus.could you kindly send me details of course and fees.if it is taken fast track also,please provide me details.it would be favor to me. I want to know about Re-Chip Repairing Courses. Please send full details about this course to my email id. an email has been sent to you . i WANT TO ENROLL MY SELF FOR THE RE CHIP COURSE KINDLY PROVIDE THE COMPLETE DETAILS OF THE COURSE ALONG WITH THE FEE STRUCTURE AND IF I WANT TO DO THE COURSE ON FAST TRACK WHAT ARE THE POSSIBILITY OF THAT. WHILE I WAS GOING THROIUGH THE SYLLABUS FEW DOUGHTS IN MY MIND THAT WHETHER THE REPAIRING OF SMPS, MONITER, UPS IS ON CHIP LEVEL OR WE WOULD BE GETTING THE OVERVVIEW OF THAT. ALSO, PLZ SEND ME THE INFORMATION THAT WHAT ARE THE TOOLS WE WOYULD BE USING IN MOTHERBOARD AND ALL OTHER STUFF REPAIRING. i WANT TO ENROLL MY SELF FOR THE RE CHIP COURSE KINDLY PROVIDE THE COMPLETE DETAILS OF THE COURSE ALONG WITH THE FEE STRUCTURE AND IF I WANT TO DO THE COURSE ON FAST TRACK WHAT ARE THE POSSIBILITY OF THAT. WHILE I WAS GOING THROIUGH THE SYLLABUS FEW DOUGHTS IN MY MIND THAT WHETHER THE REPAIRING OF SMPS, MONITER, UPS IS ON CHIP LEVEL(MEANS THAT ARE WE GOING TO IDENTIFY FAULTS ONLY OR WE WOULD LEARN HOW TO REPAIR THEM) OR WE WOULD BE GETTING THE OVERVVIEW OF THAT. ALSO, PLZ SEND ME THE INFORMATION THAT WHAT ARE THE TOOLS WE WOYULD BE USING IN MOTHERBOARD AND ALL OTHER STUFF REPAIRING. Hi, I would like to study Re-chip. Will send the fee structure and available place and more details. 3 so pl let me know the suitable programme available in Surat & the fee required. I WANT TO ENROLL MY SELF FOR THE RE CHIP COURSE KINDLY PROVIDE THE COMPLETE DETAILS OF THE COURSE ALONG WITH THE FEE STRUCTURE AND IF I WANT TO DO THE COURSE ON FAST TRACK WHAT ARE THE POSSIBILITY OF THAT. 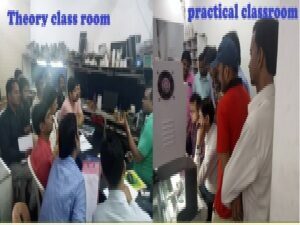 WHILE I WAS GOING THROIUGH THE SYLLABUS FEW DOUBTS IN MY MIND THAT WHETHER THE REPAIRING OF SMPS, MONITER, UPS IS ON CHIP LEVEL OR WE WOULD BE GETTING THE OVERVVIEW OF THAT. ALSO, PLZ SEND ME THE INFORMATION THAT WHAT ARE THE TOOLS WE WOULD BE USING IN MOTHERBOARD AND ALL OTHER STUFF REPAIRING. I want to join Re-Chip repairing course. so kindly forward me al da details tht u provide. tel me abt da next batch as well as da course fees. I want do the Re-chip level course of motherboard. i want to know ,full details RE-CHIP course. Fees, Duration, Available Place, and many more details. 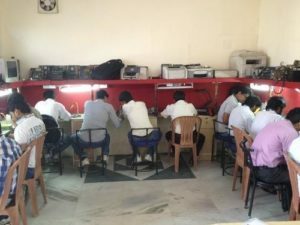 so, please send full details about RE-CHIP, i stay in goa i am a electronic engineer, interested in this course. Kindly provide the full details of RE-CHIP course along with the course fee. dear sir we r interested to luring to re-chip level repair , please give me details about course as early as possible. What the duration of this course & what the fee of this course. Please email info your course and cost for each. Please provide the details for the Training program with Fees Structure. please send me course fees and curiculum..
my brother have to learn re-chip repairing . plz send me fee details and class schdule. 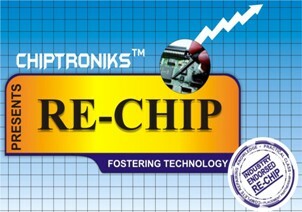 i’m from kanpur uttar pradesh i want to know about full details RE-CHIP course. Fees, Duration, Available Place, and many more details. so, please send full details about RE-CHIP.